November found us within a 10-15 minute drive of the Mall of America in Bloomington, Minnesota. This was, of course, a side trip that we could not pass up. (At least that the outnumbering females in the family could not pass up!). We ran late into the afternoon before we could visit the Mall Of America--so we didn't arrive at the Mall until around 5. After wandering a very small corner of the Mall--we wandered into the Nickelodeon Universe indoor amusement park--and didn't make it out until after 8! I thought I would share a few of our pictures from the evening as this week's Wordless Wednesday Link up! Enjoy--and don't forget to link up your latest Wordless Wednesday (or not so Wordless) posts--we love to see all of your adventures. Wordless or not! Our View of the Nickeloden Universe Indoor Amusement Park from Above..
All of the typical, Nickelodeon sounds and colors! The girls were going to go the Amusement Park. No Question. The entire mall became invisible the moment the park came into view. 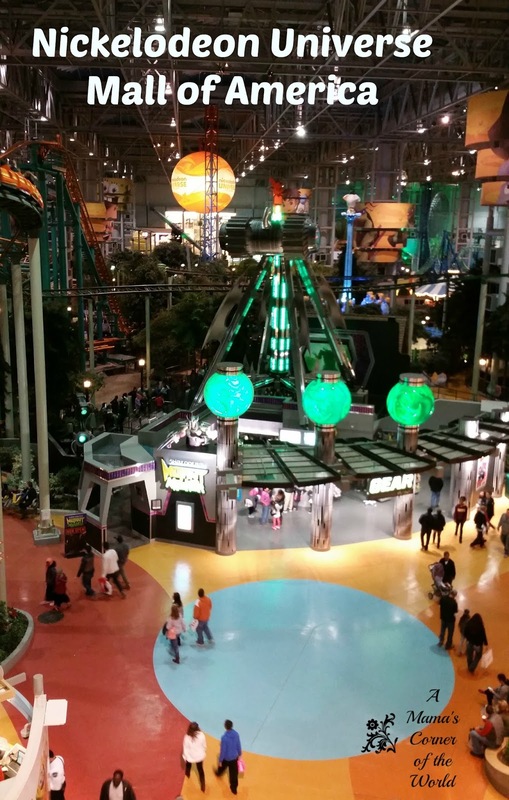 I didn't realize (before the trip) that the Mall of America housed a "real" amusement park. (Yeah--I was clueless. Oblivious..and in trouble when I wasn't sure that we really wanted to buy day tickets for a couple of hours for the experience.) Then. An unbelievable thing happened. 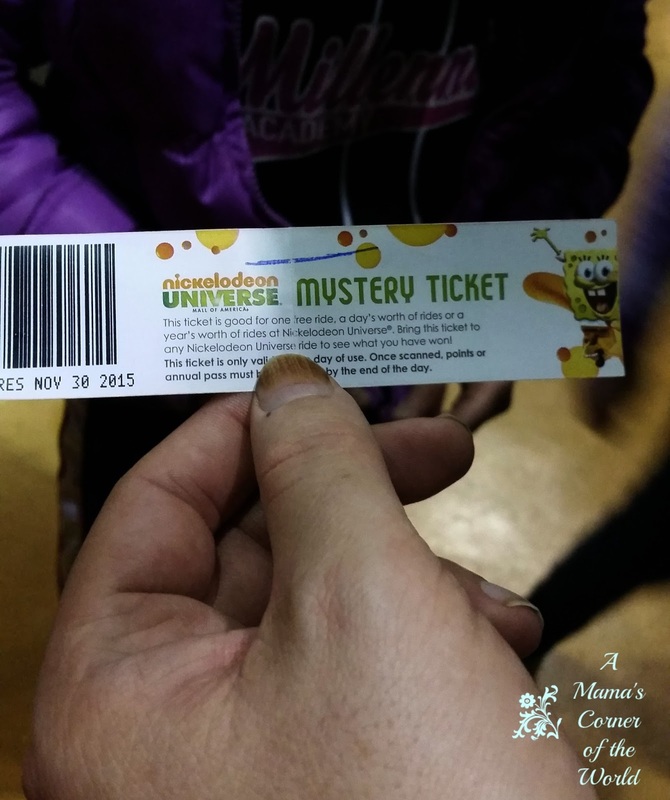 A lady, pushing a stroller, with a toddler in tow, handed my husband a "mystery ticket". She had won it. They were leaving. We could have it...for whatever it was worth. Could be one ride...could be a "day's worth" of rides... 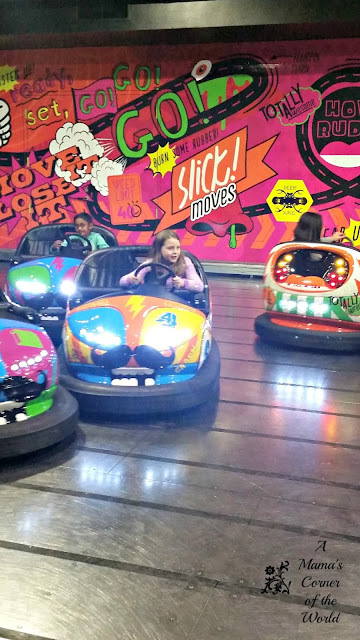 Ours turned out to hold 65 tickets--and the girls could share them. This ticket filled up our 3 hours with rides--AND--we were able to hand off the ticket (with 12 or so tickets remaining) to another family as we left. I would love to thank this lady again! While our youngest was ready for the roller coasters...front row! She was going to ride this--with or without anyone else. Since the husband and the middle daughter had zero intention of stepping up to the task; it was left to me. And we both liked it. A lot. 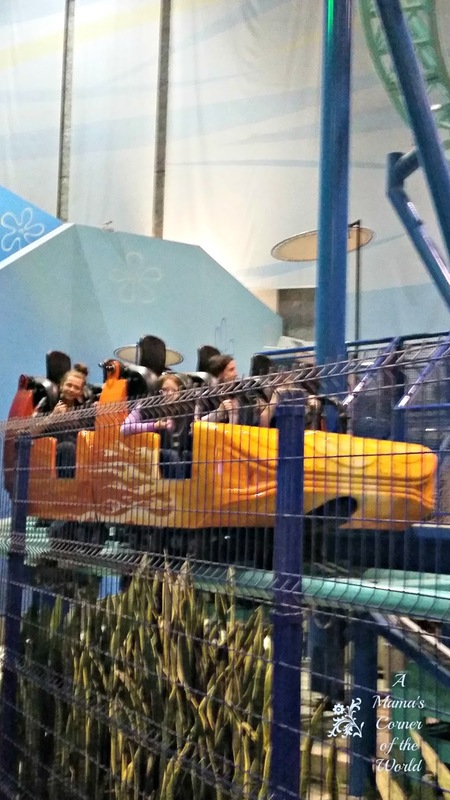 Have you visited the Nickelodeon Universe at the Mall of America? Did you have a favorite ride? 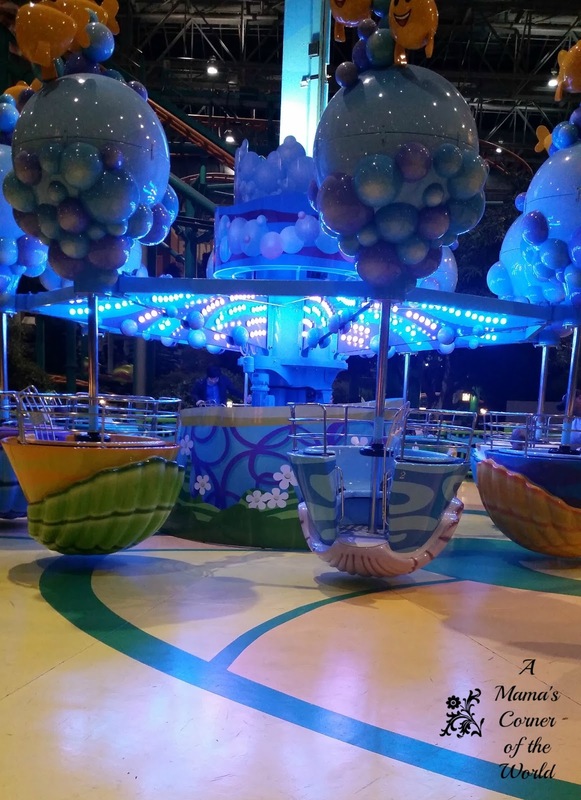 It's your Turn to Link up your Latest Wordless Wednesday Post! I have heard about this mall, it looks huge, what with the theme park inside, kids gotta love that! THanks for sharing your blog on #OMHGWW this week!! I love the Mall of America. It's been years since I've been up there. It looks like a lot of fun. I've never been, but I bet my kids would enjoy it. Clearly amusement park fun was meant to be :) What a wonderful thing that momma did for you guys with that mystery ticket! Cool..an ammusement park in a mall ..whao!! Looks like a lot of fun. 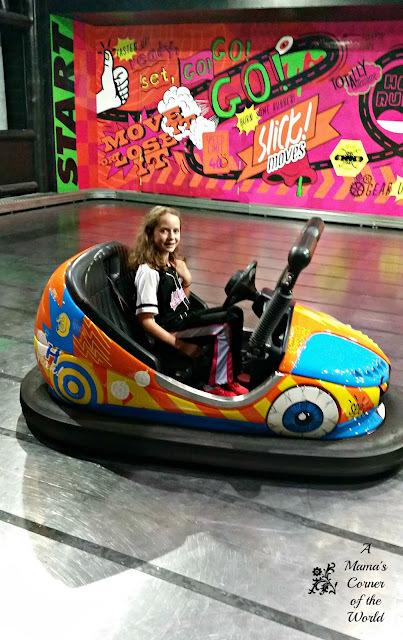 Love bumper cars! We just did that in Michigan. So much fun. What a stroke of luck. 65 tickets? 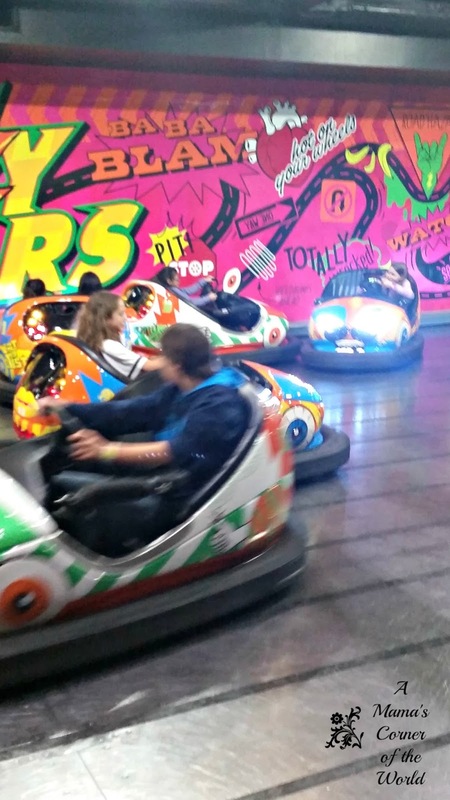 What fun for the kids. That looks like a really fun adventure! I love places like that. Kids can run around, and just have fun! How cool is that?!? Very cool! Looks like an amazing day! And how wonderful to get some free tickets! !